"Math Mini Games" is the best math game available on the store! Solving mental arithmetics becomes fun with the 5 available game modes. You can race against the clock, build a pyramid or save the earth from the aliens. And if you need training, there is a game mode available for this purpose! 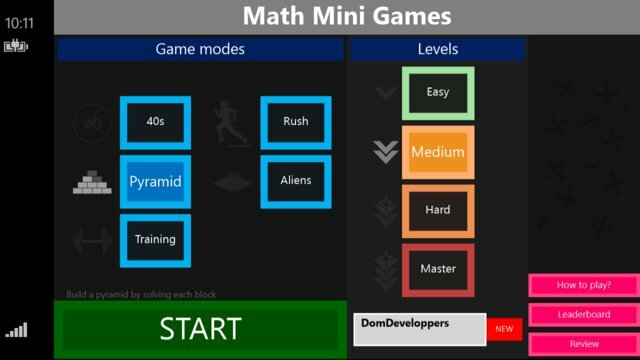 The 4 difficulty levels (Easy, Medium, Hard, Master) allow the game to fit for everyone and to improve their math skills. It's perfec for kids, teens and adults! 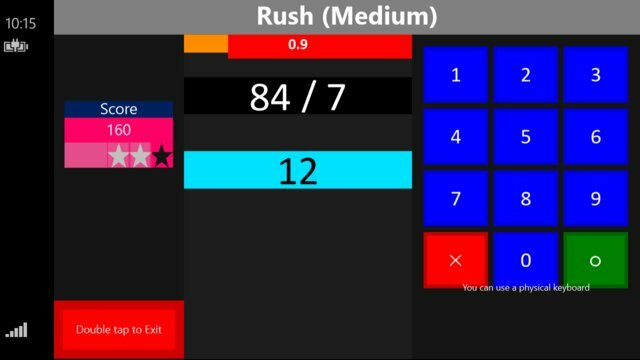 Easy to use, completely free, "Math Mini Games" gives a great user experience with a modern interface and many options. You can keep track of your performance with a local leaderboard. Also, you can compete with friends (offline) by creating multiple user names. Train your brain every day with fun mathematical challenges! The app is a great way of improving your brain and mathematic skills with fun and addicting games.